On Wednesday, November 14th, 2007. 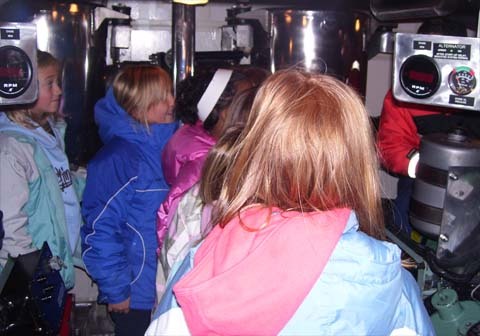 My fourth grade class went to the Manistee Coast Guard Station. The first thing they showed us was Oscar. He is their practice dummy. He weighed 180 pounds out of the water. When water was on him he weighed a lot more. The second thing we did was go on the boat theat was 46 feet long and wide. It had two Detrait diesel engines. My favorite part was the boat. It was really fun. 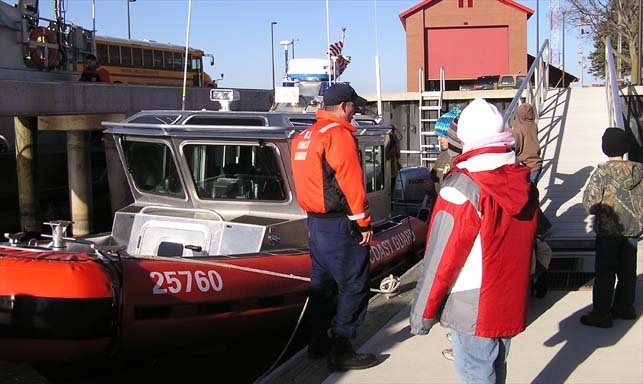 ~Jessica N.
Today we went to the Manistee Coast Guard Station. 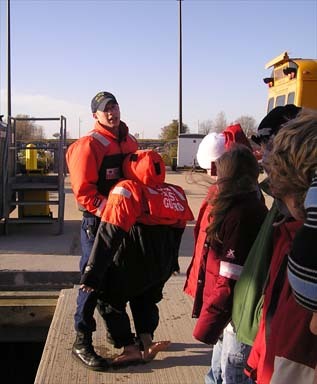 A Coast Guard led us around. It was really cool. We got to see there boats. It was fun. 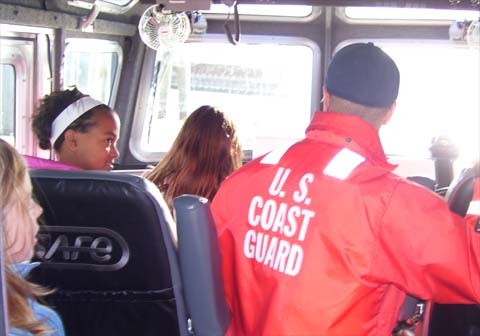 ~Hunter M.
Today our fourth grade class went to the coast guard station. 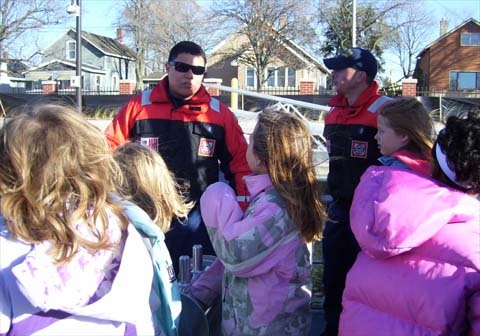 Our class had a great time at the coast guard station. 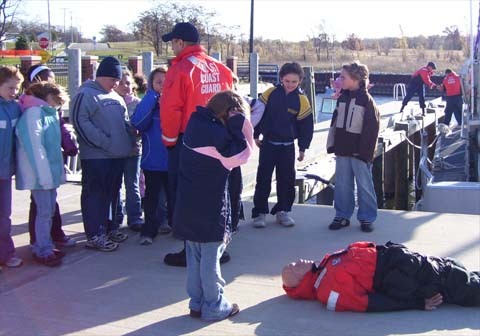 We got to see a video of the coast guard rescue people when they were drowning in the water. Then we got to go on a boat. Jack got to start up the boat. He said you had to push a lot of buttons. We all had a fun day. 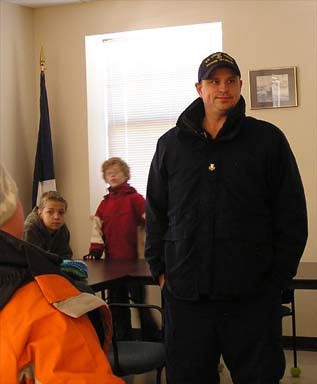 Today we went to the Manistee Coast Guard Station. I had a fun time. They took us to the boats we got to go on them. I got to sit in the drivers seat. When we went on another boat I got to honk the horn. We got to see the engine in the boat. Then we went inside the station. The leader was Smith and James. They took us to the locker room. We saw Zane. He scared everybody and yelled not to touch anything but he was just kidding. I really liked the Coast Guard Station. 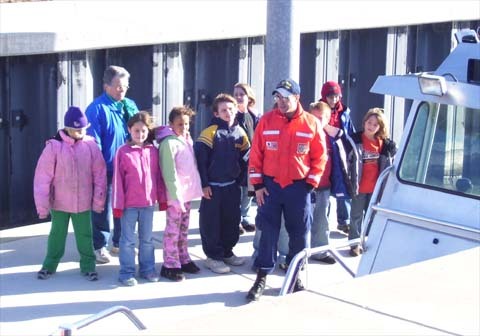 On Wednesday November 14, 2007 I went to the Manistee Coast Guard Station for a field trip. My favorite part was when I got to go on the boat. The first boat I got to go on was 25 feet long. When I got inside it was rocking a lot. The second boat I went on was 47 feet long. The boat was rocking a lot too. I liked sitting where the driver sits. That's why my favorite part was being on the boats. 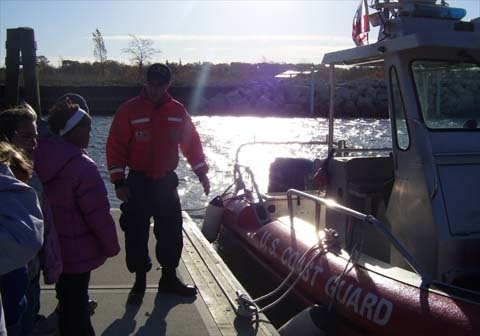 Today we went to the Coast Guard Station in Manistee. I like it there because of the ships. I like Mr. Lopez because he is the engineer. I like 45 because it had some space. I had a good time. 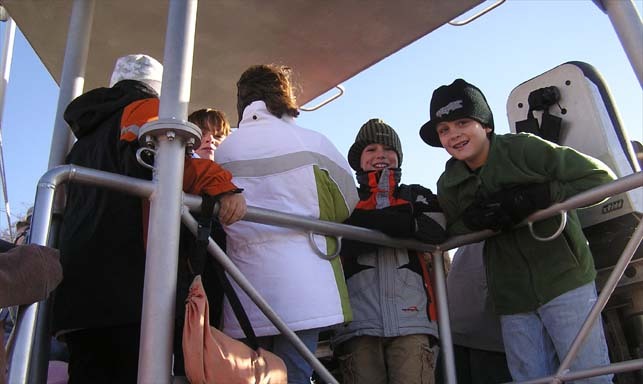 Our fourth grade class went to the Manistee Coast Guard Station. 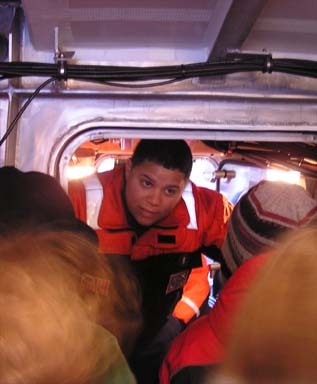 A coast guard took us on a rescue boat . One was called 46 because it was 46 feet long and the other was called 25. I loved the 46 because it had lots of cool rooms. It had a deck fourth compartment, two drivers compartments, engine room, escape pod, brige, and a room for people that get sick. If they are just cold there is a lever if they pulled it the window would explode. We got to hear the coast guard start the boat. When the boat started water came out the sides. It was cool to watch the water come out. They also had a dummy named Oscar. He weighed one hundred and eight pounds. 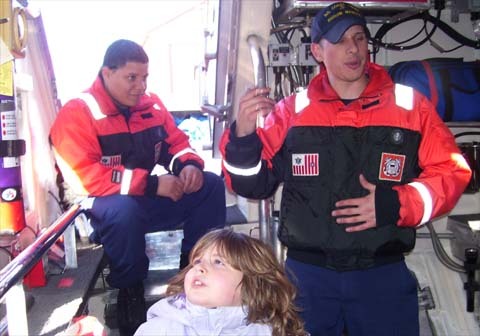 When I get older I want to be in the coast guard. 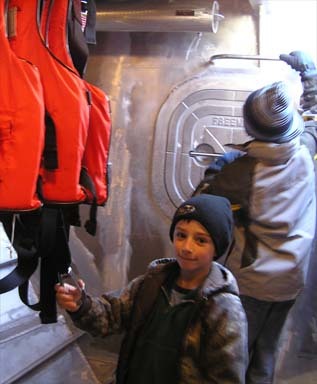 ~Hunter E.
Our class went to the Manistee Coast Guard Station. My favorite part was the boats. I held on to Somer a lot. My favorite boat was the 46 one. Bm1 Smith was our leader most of the time. 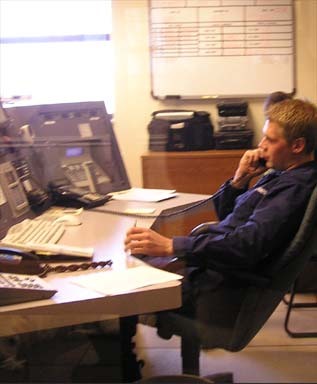 There were two lifeguards that ook us on the boats The two lifeguards took us to muffler room, to the engine room. I really like the Coast Guard Station. 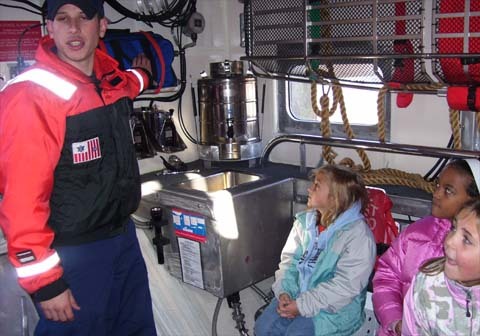 Today I went on a field trip to the County Coast Guard. We got there at 9:00. My class went to the garage and the chief talked to us about what he does. Then we went to the boat and someone almost fell in. We learned that the 47 foot boat can roll over and come back up. 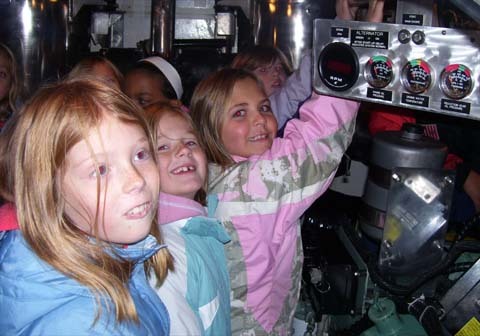 Our fourth grade class went to the Manistee Coast Guard Station. One person showed us the building when another group went to the boats. 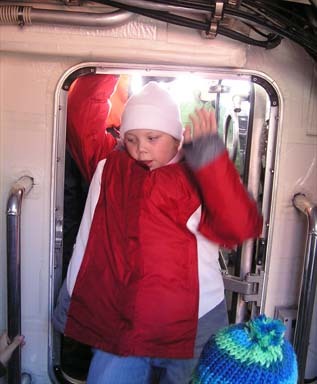 Then we went on the boats and the other group went in the building, I was so scared I didn't go on two boats. I went on one boat and I got scared. They had a big, big dog. Then we had to go but it was fun. 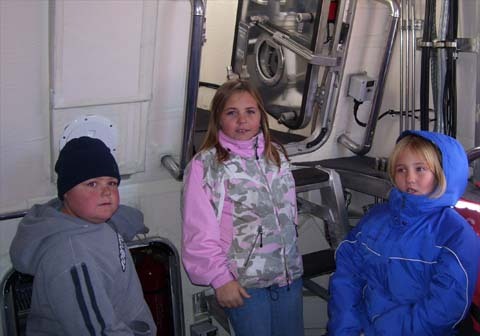 I think the Coast Guard Station was fun. ~Alexa W.
We went to the Coast Guard Station today. My favorite part was the coast guard computer video. It had helicopter plane and boat. It even showed a boat flip over and then it showed coast guard got civillian. It showed a coast guard shooting a gun. 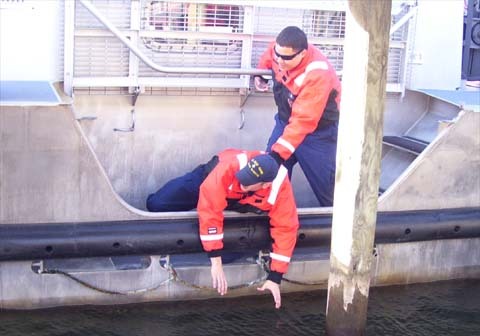 That is why I want to be a coast guard! 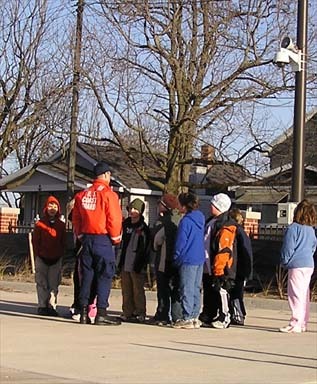 ~Trever F.
Today our class went to the Coast Guard Station in Manistee. They showed us three boats. They had two small ones and one big one. They called them 23, 25, and 46. They had one dog named Zane. 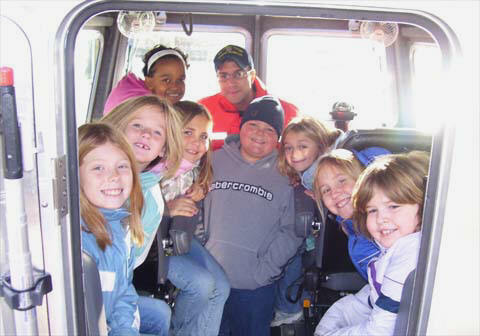 It was a really fun field trip. ~Randy P.